Dr Tracey Murray, art therapist with New Life Counselling’s OKAY team – Only Kids and Youth, for people under 18. Action Mental Health has teamed up with local experts like Dr Tracey Murray who today – during Children’s Mental Health Week – shares her expertise on understanding Anxiety among young people. 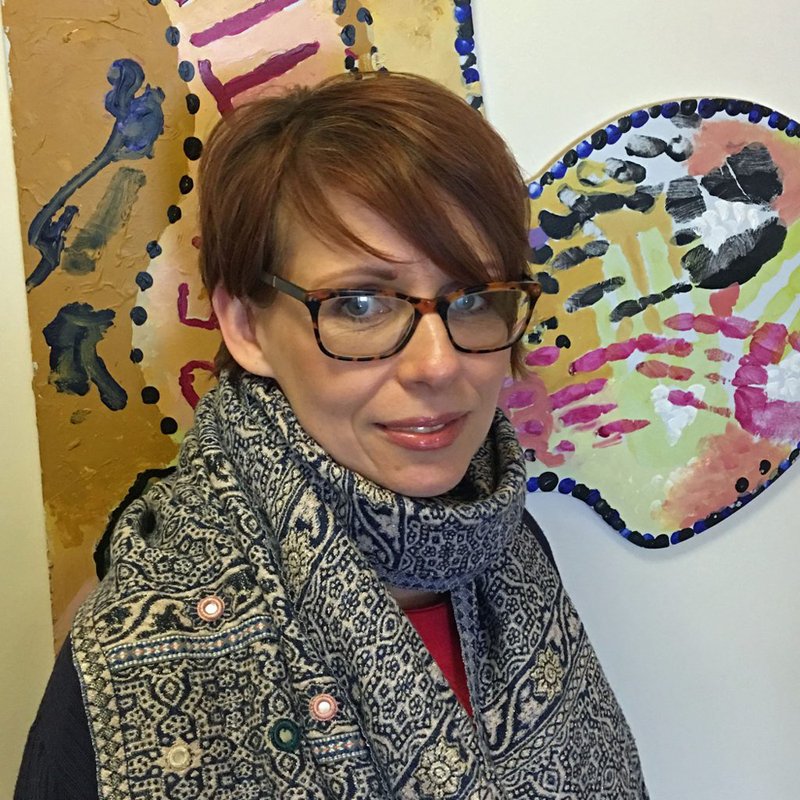 Tracey is an art therapist with New Life Counselling’s OKAY team, working with children and young people under 18 years of age. separation anxiety – when a child becomes anxious or distressed when separated from a significant other like a parent or care giver and this can occur when being dropped off at school or if a parent leaves the house, for example. This type of anxiety can be accompanied with other issues such as family difficulties/parental separation and attachment problems. situational anxiety -this type of anxiety can manifest in developing fears or obsessive thinking and behaviours, like excessive hand washing. Some situational anxiety can be linked to specific experiences like exam stress or traumatic experiences. Moderate to severe anxiety can manifest in children and young people as panic with symptoms in the body including; rapid heart rate, excessive sweating, tight chest/shortness of breath, nausea, shaking. social anxiety -caused by a fear of being in social situations and/or interacting with people. Anxiety is often accompanied by other presenting issues and factors such as social withdrawal, school refusal, low self-esteem and distorted self-image for example. Creative therapies and Cognitive Behavioural Therapy (CBT) approaches offer different ways of exploring and managing anxiety in a child/young person. Creative therapies offer a more child-centred approach that encourages the child/young person to express and explore their anxiety and any other related issues creatively using art, music, drama and/or play. A CBT approach is a more directive method which uses particular strategies aiming to change a young persons’ negative thinking and subsequent behaviours. There seems to be growing understanding and development across primary schools in NI for implementing mindfulness and resilience type programmes into their Personal Development and Mutual Understanding (PDMU) which could help deal with and manage issues like anxiety presenting in children. Some primary schools also provide counselling/creative therapies. There is also an Independent Counselling School Service (ICSS) available in every post-primary school in NI for young people to access. Various community organisations such as New Life Counselling also provide therapeutic support to children and young people from age 4 – 17 years. Dr Tracey Murray is back again tomorrow and shares her expertise on helping young people negotiate the world of the Internet, Social Media and Gaming. To find out more about New Life Counselling click here. New Life Counselling is a member of the Action Mental Health Group.